A mind mapping program visually organizes large amounts of information by using spatial organization and a hierarchical structure made up of Main Branches and Sub Branches. 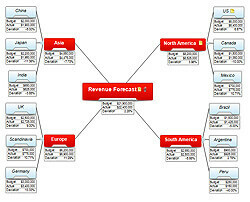 Mind mapping programs enhance the concept of mind mapping by allowing individuals to expand the contents included in their mind maps with media rich content stored on their computer or found on the internet. 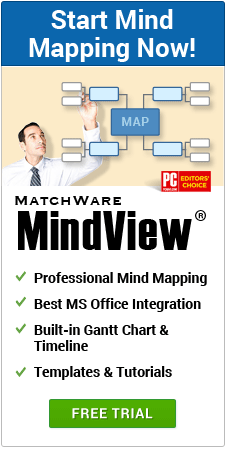 Not all mind mapping programs provide the same flexibility and functionality. 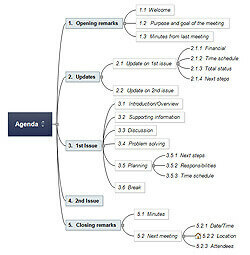 Some mind mapping programs focus on the design or look-and-feel of the mind map, where others focus on what you can do with the mind map. 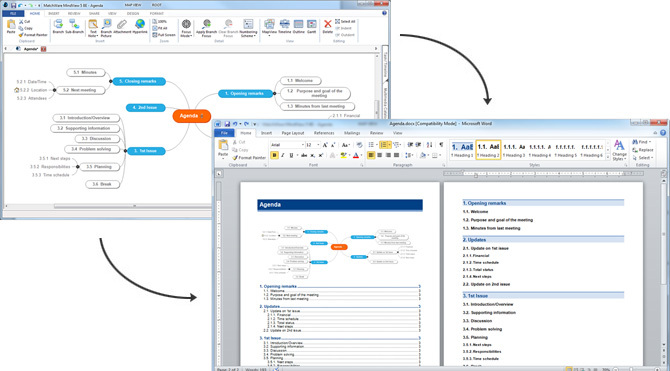 Here is an example of using a mind mapping program called MindView to convert a mind map to a formatted Microsoft Word® document. 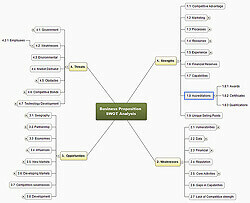 Though most mind mapping programs focus on a radial diagram to represent the contents of a mind map, some mind mapping programs allow you to design in several alternate views such as left to right, top down, outline, even a timeline.